With the launch of EQUAL FLEXX this week, IMI hosted a Ride and Drive event. Guests were asked to put our new product to the test and decide for themselves if they could feel the difference between a truck with unbalanced wheels and a truck with EQUAL FLEXX. The goal was to provide visitors the opportunity to understand the science behind how wheel vibrations are dampened and demonstrate the significance IMI places on scientifically testing our innovative products. In order to set up the demonstration, Steve Ludwig, Senior Product Development Engineer for IMI, secured two trucks from a local rental facility to be used in the Ride and Drive event. The two trucks were similar in mileage, with one having 196,000 miles and the second having 164,000 miles. Each truck had relatively new steers and similar tires all around, with the steer tires being confirmed as match-mounted assemblies. Placing EQUAL FLEXX within the truck tires for the Ride and Drive event. Prior to the Ride and Drive event, the IMI team took advantage of our new location and ran the trucks along the exact same routes on Interstate 81 near Chambersburg. After testing the similarity and consistency of the two trucks, one truck was chosen to have EQUAL FLEXX placed in all wheel positions, while the second would be driven without an internal balancing compound – and would thus provide the perfect comparison challenge for participants of the event. To begin, visitors rode in the cab of Truck #1, which was received with no internal balancing compound within its tires. The participants rode 30-miles roundtrip in Truck #1 to experience a “baseline”, providing a distinct contrast between the ride difference in the two trucks. 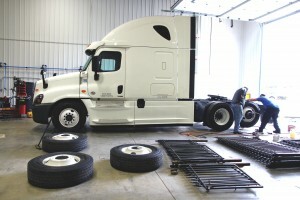 After the initial trip, visitors then immediately transferred to Truck #2, outfitted with EQUAL FLEXX in all wheel positions. Truck #2 was taken the exact same route along Interstate 81 to provide a direct comparison with Truck #1. Everyone involved with the demonstration felt a difference… because EQUAL FLEXX provides a best-in-class difference. 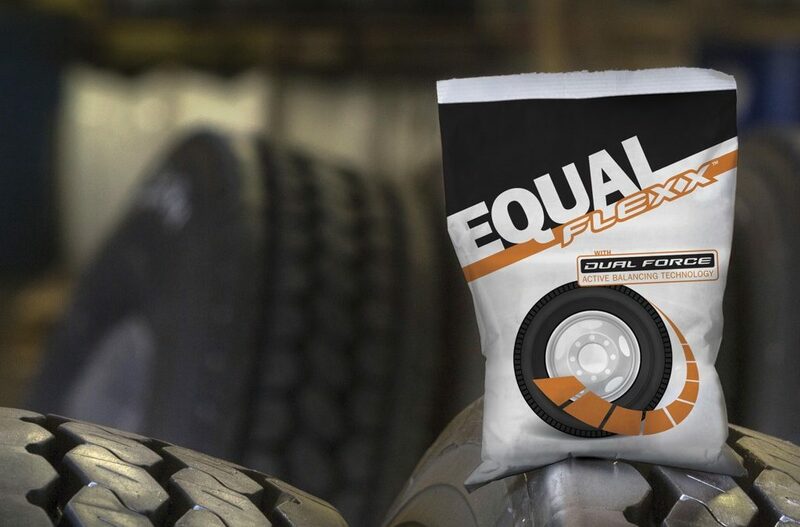 EQUAL FLEXX has been proven to show an increased performance of 15% over any other internal balancing compound, while working to continuously adjust to wear, speed, road conditions, and load weight. With EQUAL FLEXX, tire tread life is extended 10-40% and fuel economy improves more than 2%; for a single truck, the cost of doing nothing could be a waste of over $5,000 per year. And as demonstrated in our Ride and Drive event, EQUAL FLEXX provides the smoothest ride – giving you more miles and happier drivers. Interested in learning more about EQUAL FLEXX and the difference it can make to your bottom line? Reach out to one of our experts today! This blog post is not endorsed by any party. All opinions given in this piece are held by the individuals expressing them.